No, it's not my letter to Santa, before you all start wondering! 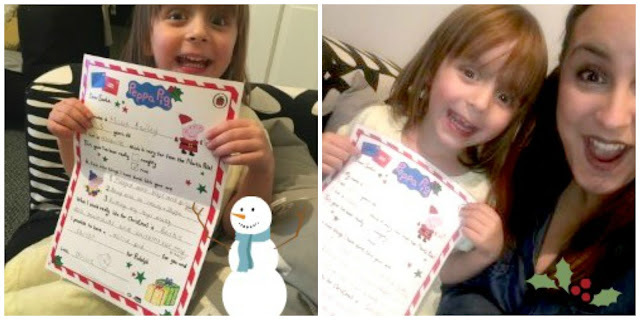 It's Millie's letter to Santa with a little help from Peppa Pig! This year, LadyBird have an activity online in which you can download and/or print the letter and fill it in with your little one and send it off to Santa! It's got a tick box for whether they've been Naughty or Nice (because we all know that he's gonna find out!) 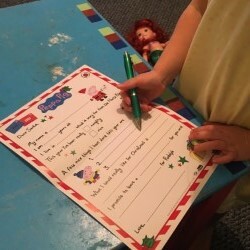 and they can write a few of their Christmas requests too! Peppa Pig's Post Book is a Christmas story about how Peppa and George help Mummy and Daddy pig at Christmas time and getting ready for the big day - but the story also includes six envelopes containing a Christmas card to fill in, decorations to make and a little book of Christmas recipes so you can be sure to have lots of fun getting ready for Christmas with your children too! 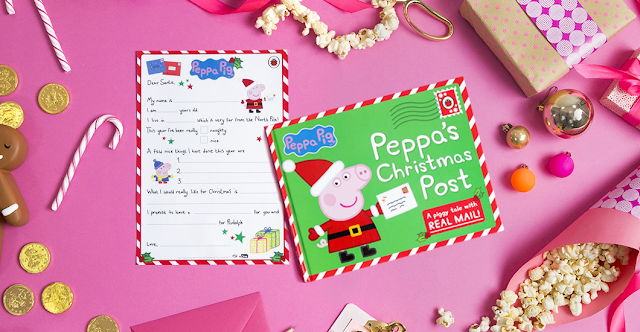 Ladybird Books are also giving one lucky person the chance to win a Peppa's Post Book and all you need to do is simply complete the Christmas list available here and tweet a photo of your little ones holding their Christmas lists with the hashtag #LadybirdChristmas! Millie's Christmas list has already been sent to Santa but we've agreed that we're going to put this one out on Christmas eve, just to remind him what she wants in-case he forgets!